Now that Donald Trump is president, he is the national leader of the Republican Party, and anyone that disagrees with his most important policy proposals should not be running for Congress. We need to send people to Washington that will help our president get things done rather than standing in the way. For decades, illegal immigrants have been pouring across our unsecured southern border, and this has created havoc in communities all across America. We must build Trump’s wall, and we must insist that every Republican that wants to run for a seat in Congress take a pledge to support the president in this endeavor. Those of us that are pro-Trump are certainly not against immigrants. After all, Trump’s own wife is an immigrant. We just want everyone to come in through the front door, but right now we have a system of immigration that is completely backwards. We have made it exceedingly difficult to try to come in through the front door, and meanwhile we have left the back door completely wide open. Drug dealers, gang members, terrorists, sexual predators and other lawbreakers have taken advantage of our lack of security, and this must end immediately. I am a 100% pro-Trump candidate for Congress, and if I am fortunate enough to win my race I will do whatever I can to get Trump’s wall built. My stand is getting noticed all over the nation, and at this point big names such as Ann Coulter are supporting my campaign for Congress. This is a very, very reasonable proposal. But at this point the Democrats don’t seem likely to budge. In fact, they are insisting on making DACA legislation a part of the upcoming budget agreement in January, but they aren’t willing to give Trump any money for a border wall in order to make that happen. The fact that I am willing to stand with Trump is just one of the reasons why voters all over Idaho’s first congressional district are so excited about my candidacy. In the most recent KIDO online survey I received more votes than all of the other congressional candidates combined, and we continue to pick up more momentum with each passing day. A border wall is most definitely not a waste of money. 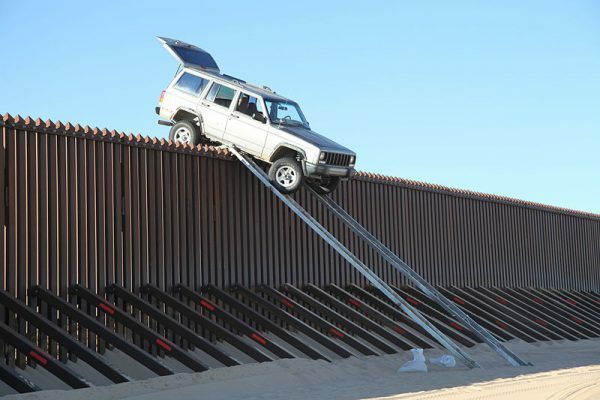 It has been estimated that illegal immigration costs U.S. taxpayers more than 100 billion dollars a year, and a border wall would only cost a fraction of that. Yes, we must work very hard to make our system of legal immigration a lot less complicated, but at the same time we must slam the back door completely shut so that everyone is forced to come in to our country through the front door.